Are You Tired of Questionable Ideas? Invest in OctoBit.IO at the ICO stage and profit from the real, working business necessary for each of us. OctoBit offers this fully finished product, which includes two in one: Multi-currency crypto wallet; Own advertising platform for the cryptocurrency market. Simple and clear project for all participants of our market. Each of us can invest at the ICO stage and profit from the real, working business necessary for each of us. 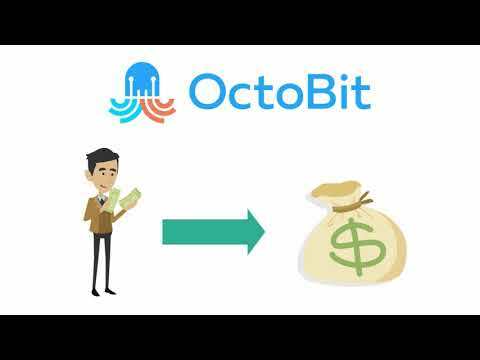 OctoBit Coin (OCTO) – is a digital decentralized crypto currency that can be used to pay for various goods and services on the Internet and in the real world with the help of special software. Two finished projects, which are already operating and bringing profit. Constant income to coins holders due to POS mining with a yield of 36% per year and a constant buy out of coins from trading at the expense of 30% of project revenue. A tight-knit and self-sufficient team that has already proved that it can make real projects, but not just disperse promises. Listing of OctoBit Coin on a third-party exchange. Calendar of payments and deferred payments. The coverage of the advertising network 10 million impressions per day. Add support of 30 new Crypto-Currency. OctoBit Coin in listing of all top exchange.